Having the right people in your corner could mean the difference between success and failure. Your earnings must be protected by only qualified professionals who have been trained to address the needs of their clients. Imagine having three or four people surrounding you with knowledge and advice about a business venture, a major purchase, plans to handle your assets after your death, or something else that eventually bring joy and fulfillment into your life. Having an all star team, your group of expert individuals working with your best interests in mind — is of great importance when it comes to your finances. While we’d like to think we can trust family and close friends, this is not always the case. You cannot trust everyone, no matter how long you’ve known a person! I know it’s easy to trust someone who you have familiarity with but if you were to examine the expertise (or lack thereof) of an individual, you’d be surprised how little he or she knows about handling money. Look around; are the people in your network All-Star Team worthy? Can you trust them with your most prized possessions? Do they have expertise in the areas of your financial needs? For most of us, property and profits are two of the most valuable things we have. Let’s say you are becoming wealthier than ever. You’ve signed a new contract. You’ve made it! The same people you grew up with might have your best interests in mind but are they qualified to have you protect your assets? Now that you’re on the road to riches and well on your way to living the American Dream, be careful to solicit the support from individuals that can help you keep, maintain and increase your success and prosperity. a financial advisor; and maybe even a tax attorney. Without question you should add an accountant to your team. This person is hired to record business transactions for an individual or corporation and to keep track of your money (income and expenses), while providing insight into the tax benefits and burdens of your decisions. The accountant is responsible for creating reports, monitoring financial performance and issuing financial statements. Kristen Lee, for example, is an accountant to the stars — actors, musicians and athletes who earn between $1 million to $50 million. While she keeps her clientele list a secret, she says she gives advice to each of them regarding the benefit or burden of certain financial moves. Her clients know Lee has their best interests in mind and reportedly have been “trained” to see Lee’s advice first before spending a dime. If you don’t have an accountant, add one immediately! Similar to an accountant, you must have an estate planning attorney! A good estate planning attorney should serve as the “engine” to your “automobile.” This attorney will help you create plans, through the use of wills, trusts, powers of attorney and other tools, that cover the potential problems, and likely burdens that will come your way. What happens to the assets that you own if you suddenly pass? How can your “stuff” stay out of the public’s eye in the midst of that crisis. How can you ensure that your spouse, children, family and chosen charities will receive your assets without drama if you were gone? Finally, if you become unable to make decisions for yourself, who will make decisions for you and what decisions will they make? Your estate planning attorney will ensure that these questions are resolved, while assisting you with the creation and securing of resources and plans that will help you protect your assets and properly/legitimately avoid unnecessary taxes and penalties. In addition, your estate planning attorney can objectively assist you in identifying and securing additional qualified members of your team. An estate planning attorney is a necessity for your team. A financial advisor (or advisor) provides services based on the financial needs of a client. Celebrities and athletes are oftentimes unsure of the best way to manage their funds. Therefore, an advisor is hired to give an expert’s point-of-view so that informed decisions can be made. Finally, it may make sense to include a good tax attorney that can help you navigate deeper depths of tax matters, and can support you if you find yourself involved in tax court or tribunal proceedings. This attorney will be able to help you settle such tax disputes with federal, state, and local authorities. As much money as celebrities have made while doing the thing they love the most, some fail to report their earnings to the IRS, as required (they likely did not have a good accountant – see #1 above). This is where a tax attorney will be beneficial. When beginning to put your team together, we feel that the best starting point is an estate planning attorney. Your estate planning attorney is the one person on your team that must be privy to your finances, tax situation, asset arrangement, fiduciary wishes, and even your health as it all impacts your estate plan. As a result, this team member should be involved in the discussions involving each of the other team members and it is likely a good idea to allow your estate planning attorney to help you identify the other team members. 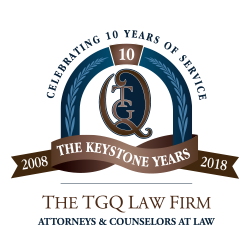 At the TGQ Law Firm, our estate planning attorneys and their efforts are aimed to fit the needs of clients from all social backgrounds. We stand by our clients and work to put them in the best possible position as it relates to their wishes. Contact us today so that we can help you create your team! Pets Need Love, Too! Why Create a Trust For Your Pet No Trust. No Will. No Plan. Who Dropped the Ball?